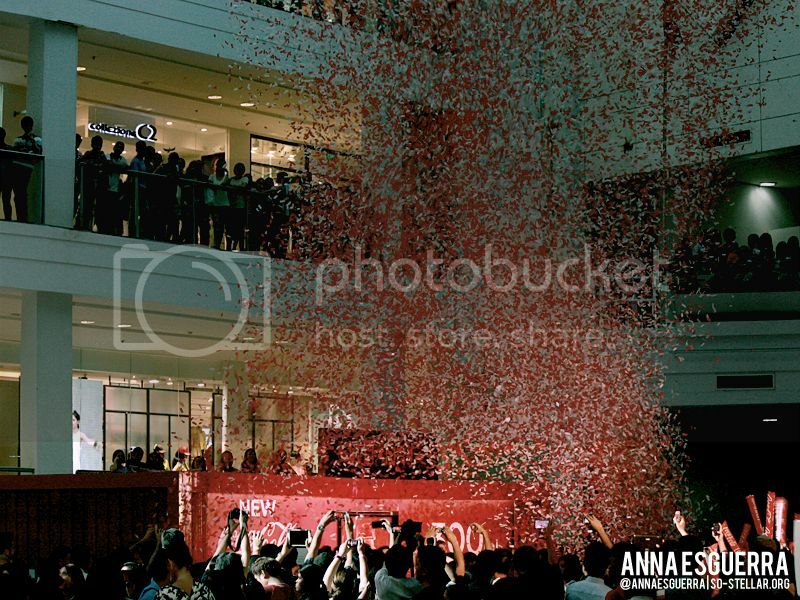 I chose to go to only one of their three mall shows, the last leg of it which was at the Glorietta mall in Makati. 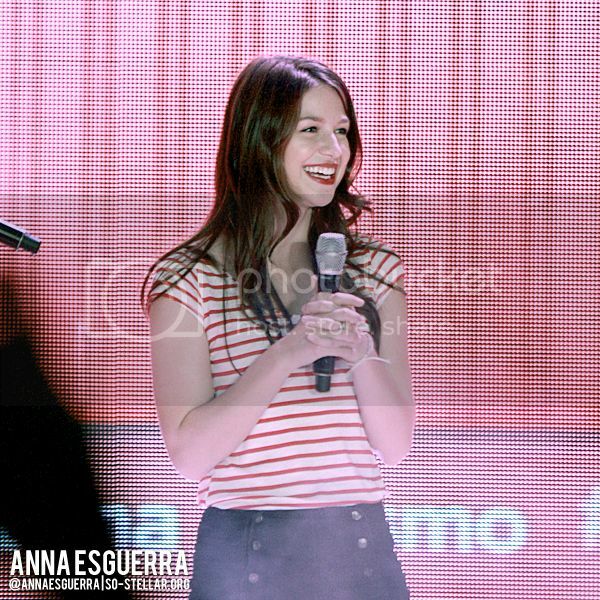 They also did a meet and greet/photo-op with the ambassadors and cast of Glee after the show. Most of the people who got to meet them were fans of the show. Anyway, I was happy and content getting to be this close to the stage and shooting the celebrities, hehe. I had a chance to get a photo and meet them but it didn’t push through, oh well. 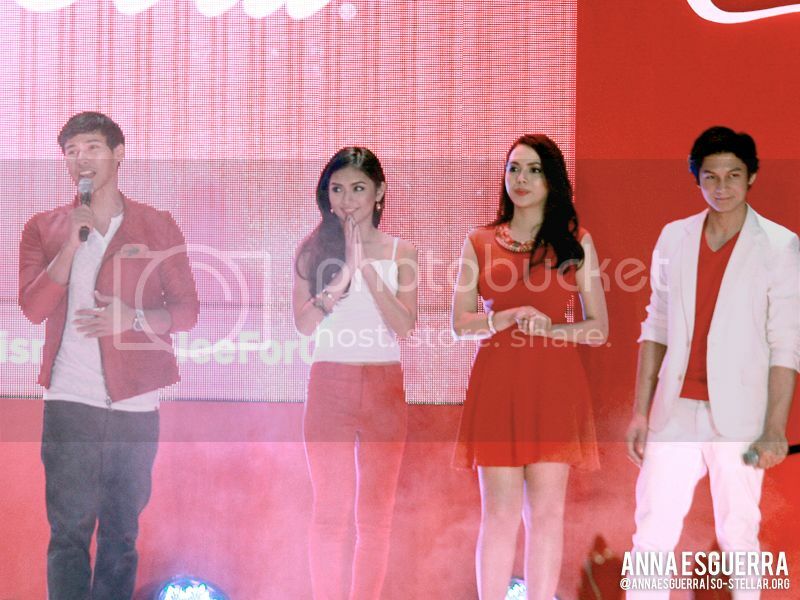 During their meet and greet, I tried to get Enchong’s attention, but he didn’t even see me. Lol, this is not the first time this happened. Isn’t my camera big enough to get his attention? I swear, it’s bigger than my face so at least he should see that one. LOL MOVING ON. Here’s my favorite shot from this set of Enchong. 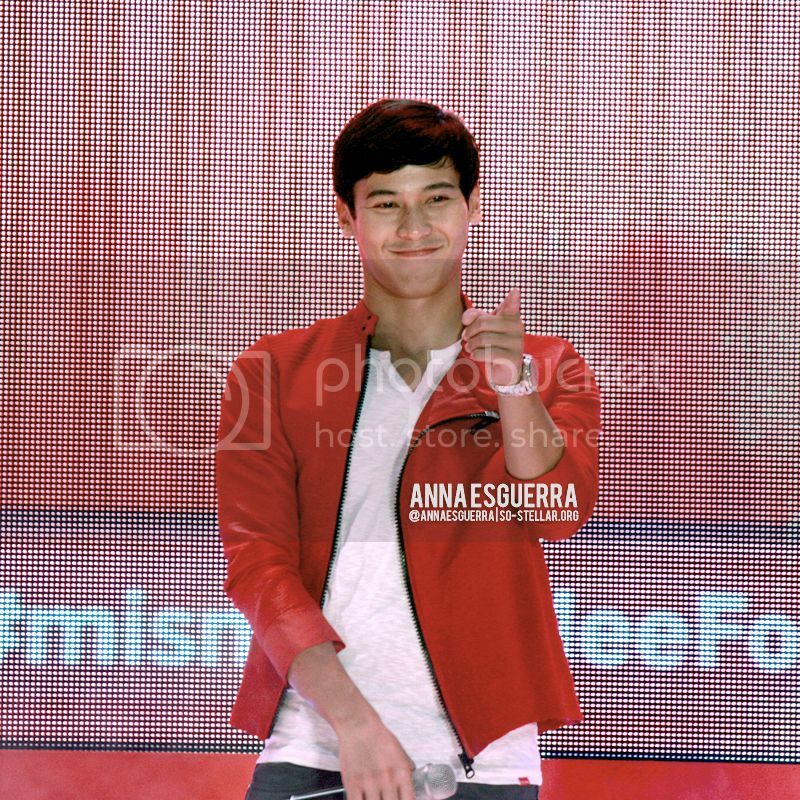 I don’t have a lot of Enchong pics, because he was too far. The show was short, for me. Thinking back, I think the considerable part that ran very long was the photo-op session. They were introduced pretty quickly at the beginning of the show, and they did some ceremonial thing w/ formally launching the product at the then-mystery crate next to the stage. This is worth mentioning too: The photo of the Glee cast w/ the Happiness Ambassadors with the “President of Happiness” (lol), Arran Sese. 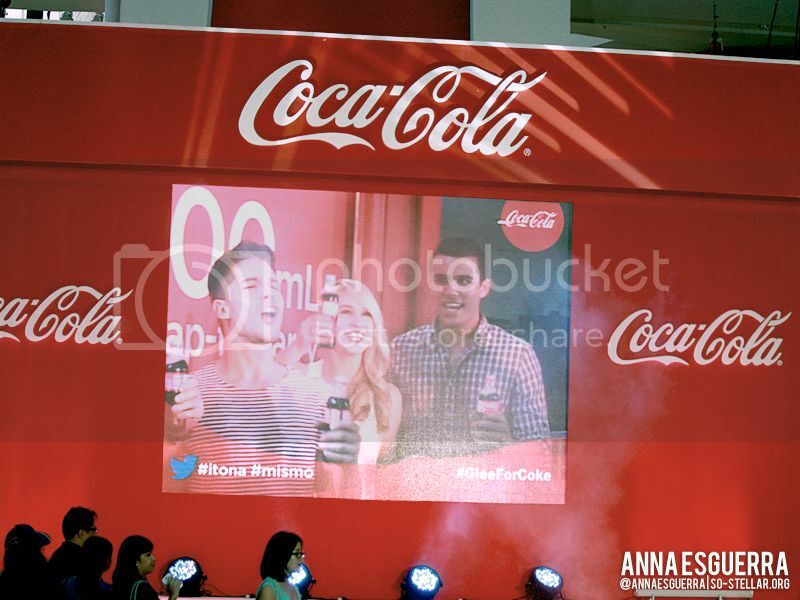 Out of curiosity, I wonder how Coca-Cola got to the decision of having these particular cast of Glee join the Mismo! product campaign (or whatever marketing term they call it). Okay. Now with that ‘formal introduction’ out of the way.. allow me to fangirl about one person who made this event extra special for me, despite not getting to meet him/them or having a photo with their group. TBH, I stopped watching the show for what seems like a very long time ago now. However, I remembered watching his character and thought he looked hot. Isn’t he so cute?! Just look at those eyes, man. It was only a few hours before this event that I felt that rush of excitement of possibly seeing him in the flesh because I was not aware that he and his other cast mates from the show are in the Philippines, let alone being here to promote a product where Enchong Dee (a local celebrity whose events I regularly go to, hehe) is also endorsing and a part of. So when I received a, should I say, time-sensitive invitation, from OED, I just had to say yes ASAP. I was also told we *might* get to meet them and have a photo-op with the cast and the ambassadors, but nothing’s set in stone. Getting the opportunity to be there and have the chance to cover the event for this blog would be more than enough for me.. and that’s what happened exactly. During the photo-ops of the celebrities with the winners and VIP, somehow the front space of the stage cleared up and anybody could walk in and secure a spot there to see the artists up close. I thought they would be strict about it, but when I got in front (kind of by the sides though, you’ll see by the photos), and stood and started taking photos, I was expecting for someone to approach me and shoo me away. But no one did, and I’m glad. 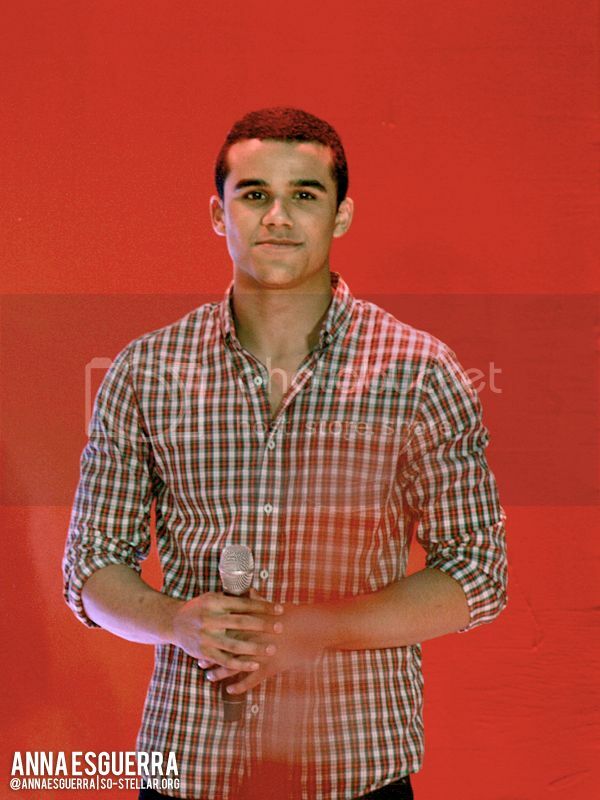 So I waited for the right moment for Jacob Artist to look by my way and when he did, I yelled as loud as I could to get his attention (what do I have to lose? aside from my dignity, no one’s going to remember my presence there) and OH MY GOD HE LOOKED AT MY WAY. So naturally, as someone who’s surprised he even looked my way, I started waving my hands at him like a madman.. jk, just enthusiastically. And he waved back and smiled. AAH IT WAS A GLORIOUS 5 SECONDS MOMENT OF MY LIFE. Not the best photo, but it’s better than nothing! 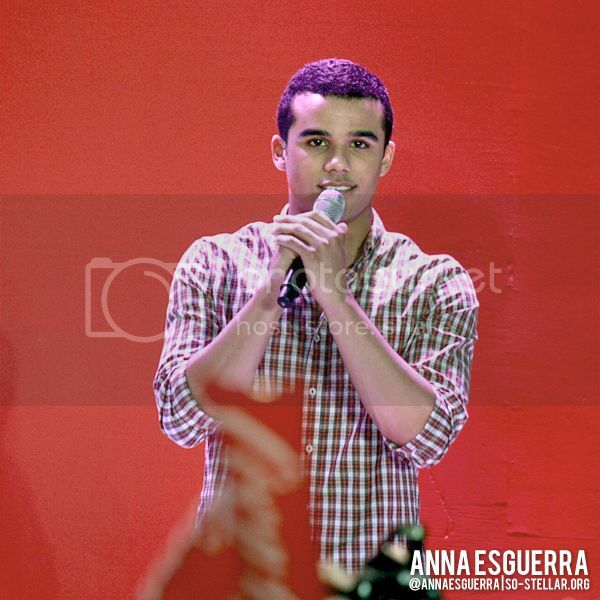 So that’s my kilig story about Jacob Artist, lol. I get kilig/twitterpatted whenever I look at my photos of him that I took from yesterday. Somebody slap me away from my stupid fantasy. He’s 3 years younger than you, FFS. Please do not take off/rip the watermark off the photos. You may share or repost but please do not remove my credits!! 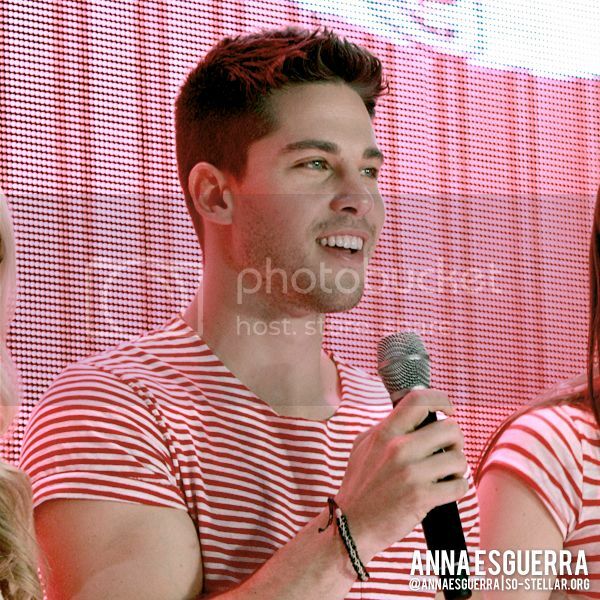 PS: I’m not sure if it’s just me, or is my watermark too big in these photos? I recently went back to using my old computer (one w/ a lower screen resolution of 1280×800) and everything looks HUGE in here. Couldn’t use my other watermark, the one that looks like a logo, cuz I forgot to save a backup from my work laptop. So for the meantime I’m using a text watermark. “Now I am wondering WHY I didn’t see one in the event itself. Weird.” LOOOOOOOOOL so much for marketing.